USDJPY moved sideways in a trading range between 109.70 and 110.95. 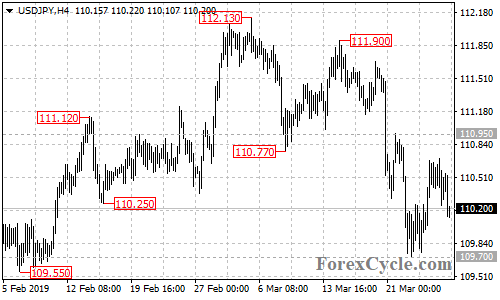 As long as 110.95 resistance holds, the price action in the range could be treated as consolidation for the downtrend from 111.90, further decline towards 109.00 is possible after the consolidation. Only break above 110.95 resistance could signal completion of the downtrend.